Rebuy it? No. Why? I got this one as a sample and was really excited to try it. I don't buy expensive designer mascaras since I have been disappointed by a YSL one before. 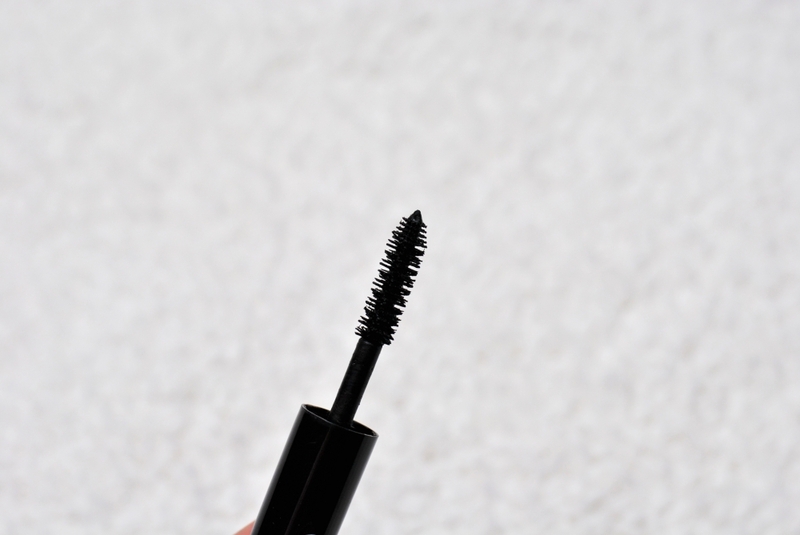 Even though the formula of this mascara was quite good I won't repurchase it as the brush was a little bit too large and it didn't separate my lashes enough. If you ask me there are three categories of mascaras: those that cost under 10€ and always crumble in my face, those that cost between 10€ and 20€ which I use and really like, and those that cost over 20€ and are totally not worth the money. Rebuy it? Maybe. Why? I really wanted to have a deodorant without all that bad stuff inside because you hear the most awful things about deodorants and how they affect your health. This one comes without mineral oil, silicone or parabens. Unfortunately using this deodorant after shaving is quite painful as it really pricks on my skin. I like the smell but I feel it doesn't work that good for me so at the moment I use my SebaMed deodorant again. Rebuy it? Yes, I already did so. Why? This milk is my huge love! I have stopped using it for a while because I was too lazy to apply it everyday and it doesn't work if you don't use it regularly. Now that I'm on semester break I have plenty of time to use it again and I really don't know how I could forget about its benefits! Not only does it reduce the appearance of cellulite and makes your skin look more even but it also makes your skin really soft and hydrates it perfectly. Definitely heading to the bikini season with this gem. Rebuy it? Probably yes. Why? I wanted to try a new toner and was really lucky to find this one at Sephora a few months ago. It was indeed really refreshing with a fresh smell but what I liked most about it is that it made my skin so clean! 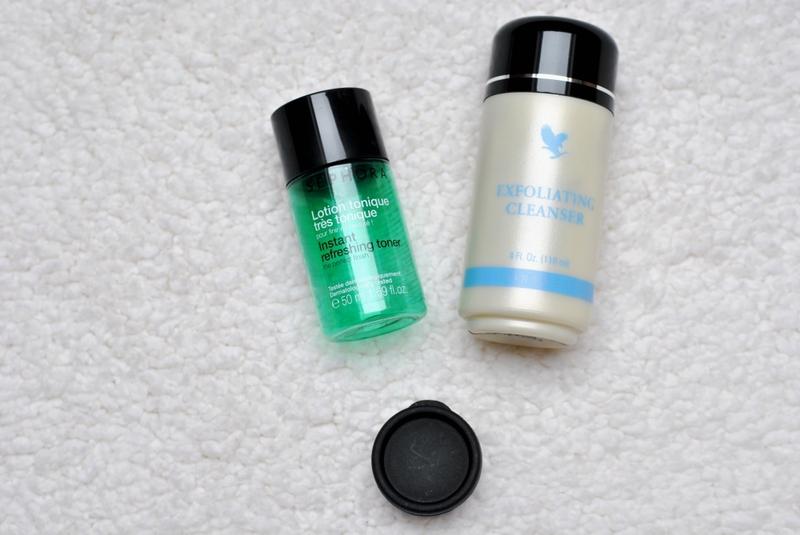 I could use the best of cleansers, this baby would still remove the one or the other bit of makeup. 50ml may not be that much for a toner but I could use this one for over 4 months which made it worth the money. Last week I started using a Lush toner again but I will keep this Sephora one in mind as well. Rebuy it? No. Why? Forever Living Products is one of those brands that is being retailed via private sellers who do it in their free time. My mum was one of them so I was lucky enough to try almost all of their products (which do all have aloe vera as a main ingredient). My mum also got me this cleanser years ago and I really don't know why it took me so long to use it up but I must also say that I only discovered my love for cleansers quite recently. Anyway this cleanser has a really creamy texture and even though I couldn't notice an exfoliating effect I always had the feeling that it got my skin clean while being super gentle. I can totally imagine that this is a good product for sensitive skin but my blemished skin needed something more powerful. That's where I fell in love with The Body Shop tea tree wash which I have used since then. Rebuy it? No. Why? I have been using this face cream before but got another sample size when I went to Lush a few weeks ago. In fact my thoughts about it are still the same as here. 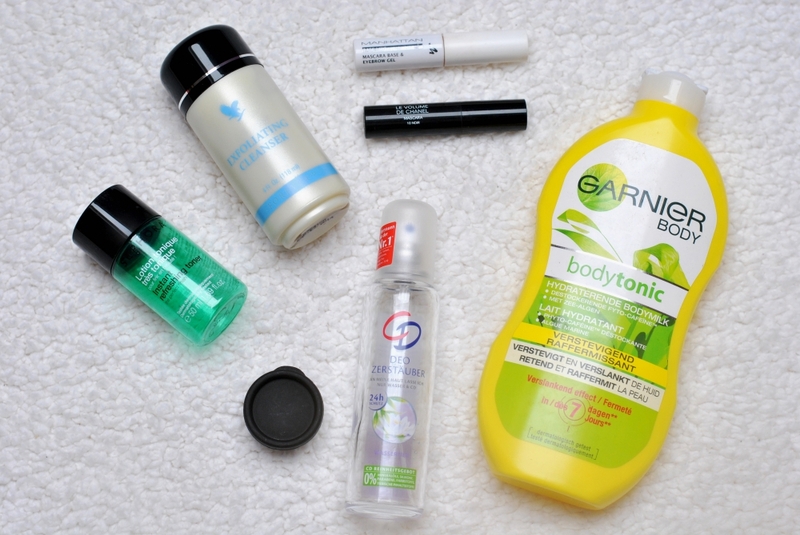 The garnier bodylotion is my favourite! 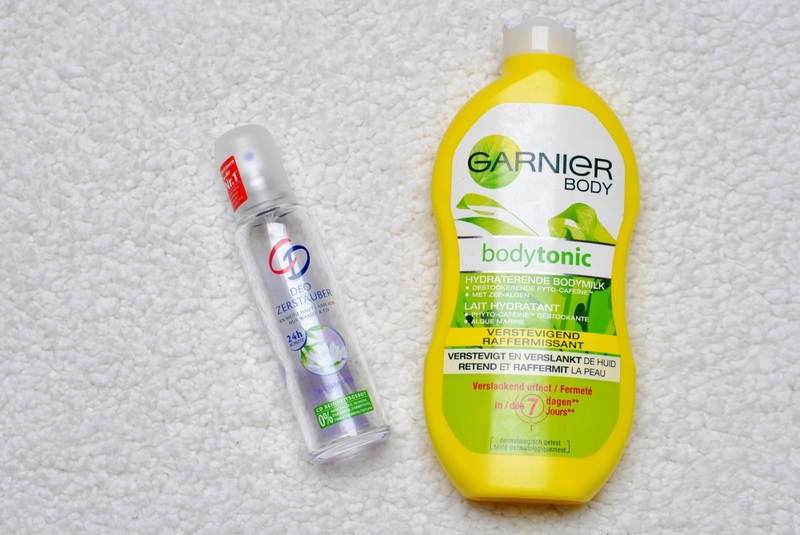 Hi Carmen,from Monday I also use the Garnier bodytonic, too little time to give my opinion...i hope it's as good as they say in advertising.. I need to use that Mascara, I have had my eyes on it, for ever! 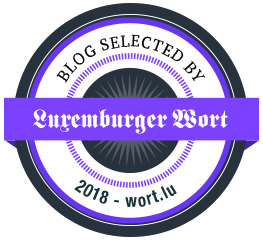 Hört sich gut an, von den Produkten kannte ich noch keins! 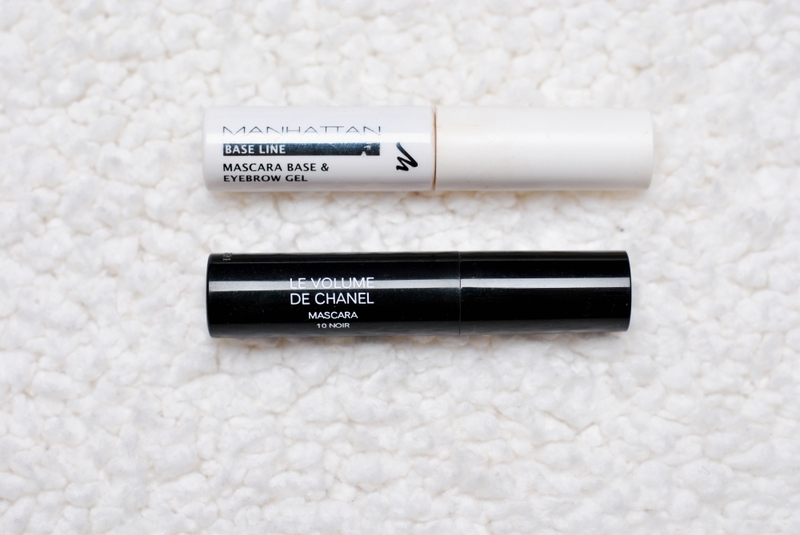 I have the same Chanel mascara sample and I absolutely love it! I would definitely consider buying it if I wasn't wearing falsies most of the time. Nice review. I must try the Bodytonic. that's ashame about that Chanel sample. both Chanel and Dior have disappointed me with some of their products.